There’s something special about playing on a course that allows you the opportunity to experience some of the worlds greatest designed holes, invoking memories of some of the golfing world’s most dramatic moments. 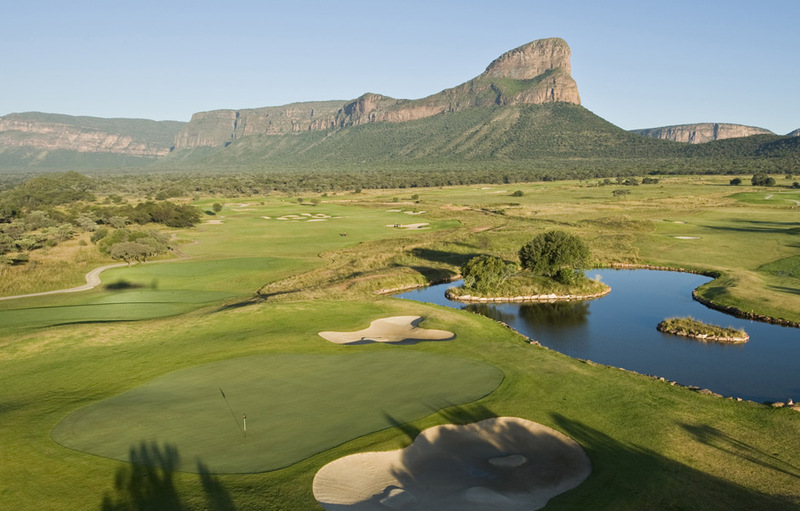 Legends Golf Course does not disappoint, giving players a truly exceptional golfing experience. Only good things can come from a course designed by a collaboration of 18 of the world’s top golfers including; Bernard Langer, Colin Montgomerie, Ian Woosnam, Jim Furyk, Justin Rose, Padraig Harrington, Retief Goosen, Sergio Garcia, Trevor Immelman and Vijay Singh. 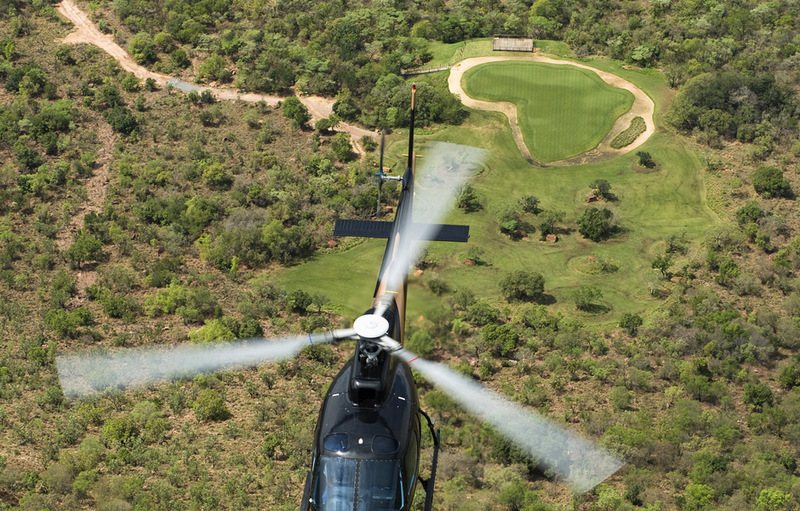 Lying in the heart of the malaria-free Entabeni Safari Conservancy in the Limpopo Province’s Waterberg, Legend Golf & Safari Resort, is the place where great golfing memories are relived and new legends are born. Previously ineligible for ranking as it was a new course, Legend made its mark on the Golf Digest Top 100 rankings this year when it entered the list at number 40, a remarkable achievement. There are two clubhouses at Legend – one at the Signature Course and the other at the Tribute Course. The current Signature Clubhouse is a “temporary” structure specially constructed and has all the facilities you would expect at a world class resort, including luxury showers for men and women, plus a golf pro shop, bar and dining area capable of seating 120 people indoors and more on the outside decking which boasts magnificent views of the golf course and breathtaking Waterberg scenery. This facility will be moved to another area of the resort when the mighty Monomotapa-style main clubhouse construction is completed. The main clubhouse will boast state of the art facilities plus bars and restaurants. The Tribute Course Clubhouse is geared to relaxation and socialisation and overlooks the 10-hole par 3 Tribute Course. The clubhouse has an outdoor dining area, swimming pool, relaxation area and pro shop and doubles as a private hospitality venue. This 18-hole championship golf course was designed by 18 of the top golfers in the world. 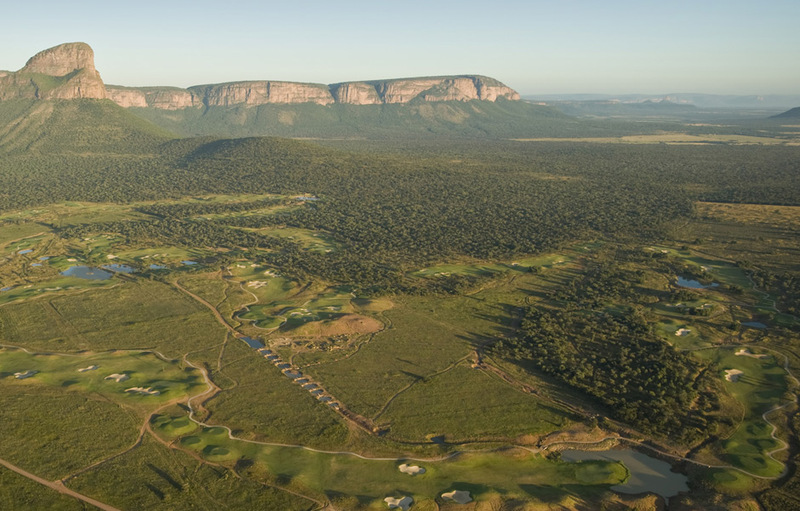 It is the longest golf course in South Africa. Playing daily at 6,534 meters but capable of extending to 7,782 meters for tournaments, the Signature course is amongst the longest in the world. 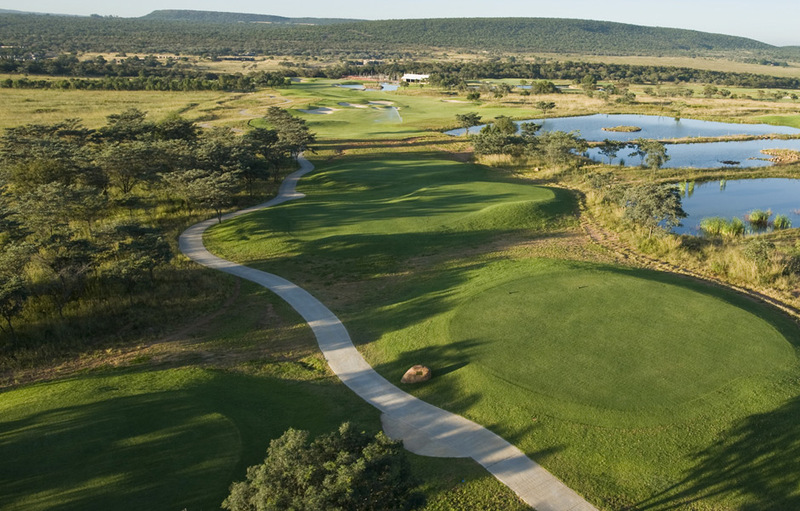 The course’s flowing kikuyu fairways wind through open grasslands and dense bush and its gently undulating bent-and-rough indigenous grass mix greens and strategically placed bunkers allows for a unique golfing experience at one of the most environmentally sensitive courses in Africa. The option to choose from five tees on each hole creates flexibility for all levels of players to enjoy their golfing experience. If exhilaration is what you’re after, you’ll find it at Legend Extreme 19th hole – the world’s highest and longest par three. 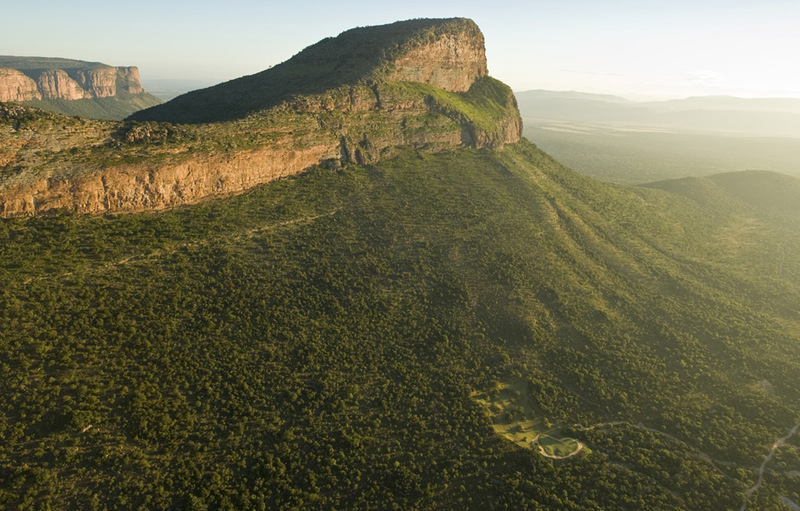 It is accessible only by helicopter and sits on top of the Hanglip Mountain with a 361 meter shot to the green shaped like the African continent, some 400 meters below the tee. 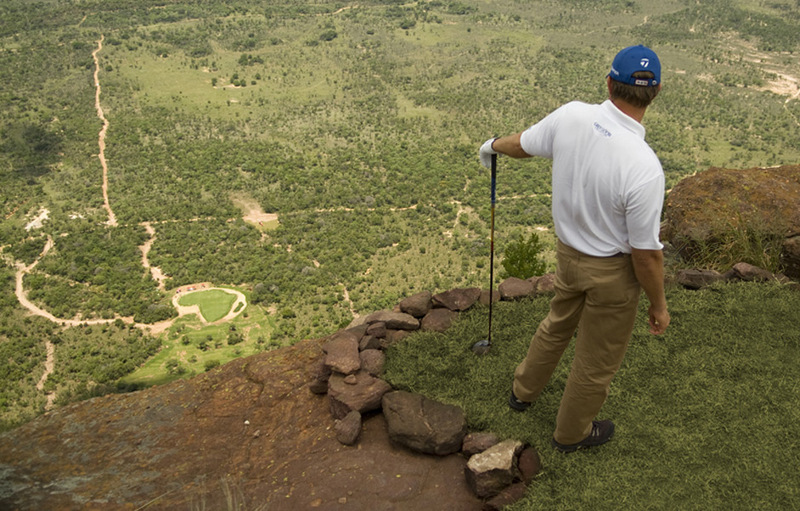 Golfers can choose to play this extreme hole in addition to their round or 18 holes, or as an experience on its own. Your shot will be captured by four cameras and the most advanced tracking equipment allowing you to follow the flight of your golf ball and you will receive a certificate of completion. The Tribute course pays homage to ten of the greatest holes of golf ever designed which have enthralled the golfing fraternity with some of the most dramatic moments ever seen in golf. The course comprises a glorious recreation of these nine holes, and is completed by a 10th-hole designed by the resort to give players the chance to play the best short-holes in the world in the shortest amount of time. The Legend Golf Academy was built with both professionals and amateurs in mind. Legend wanted to create the best practice facility in the world to encourage players to perfect their skills. PGA professionals are on hand to assist you with all aspects of your game. Players can also have custom fittings of all major brands of golf equipment. There are training courses available ranging from two days to a full week-long school. Instruction in physical fitness for golfers is also available. Legend’s Caddy Ranger programme has trained 40 people from the surrounding area to be great caddies and to have a strong knowledge of the bush that they can pass on to visitors. Before setting foot on the golf course, the caddy rangers undergo a month long intensive course at their Entabeni Nature Guide Training School. They learn from top instructors about the fauna and flora they are likely to encounter on the Signature Course in the heart of the African bushveld. It is compulsory for each four-ball to be accompanied by at least one Caddy Ranger.